eBay is one of the most popular ecommerce platforms that allows users to buy and sell goods online. To build a website like eBay, it’s important to know all the rules of the market and possible challenges. In this article, we’ll show you how to create a website like eBay from scratch, explain how to deliver a product that’s truly needed by end users, and talk about the technical side. Let’s start with a brief overview of how eBay was born. Before we dive into how to create a website like eBay, let’s see what eBay looked like at the very beginning and how it evolved. 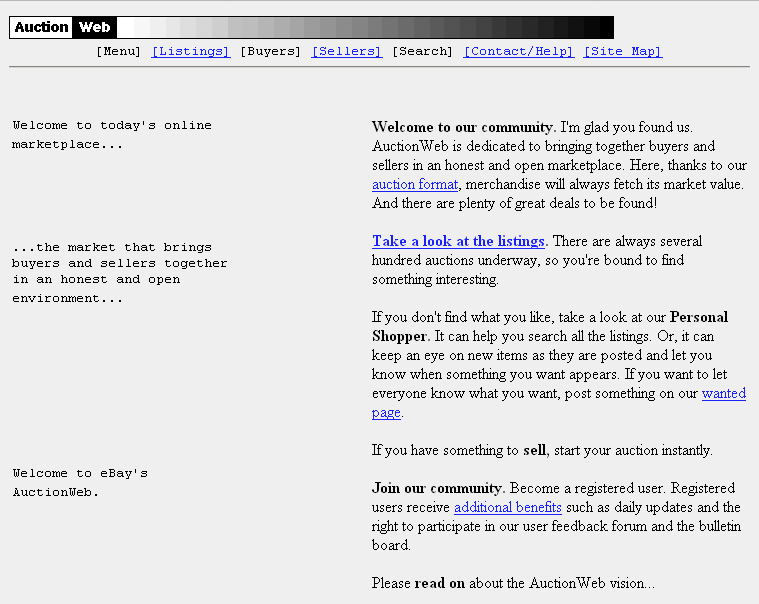 Initially, eBay was called AuctionWeb. Over the years, it has evolved into an ecommerce site with more than 177 million active users. 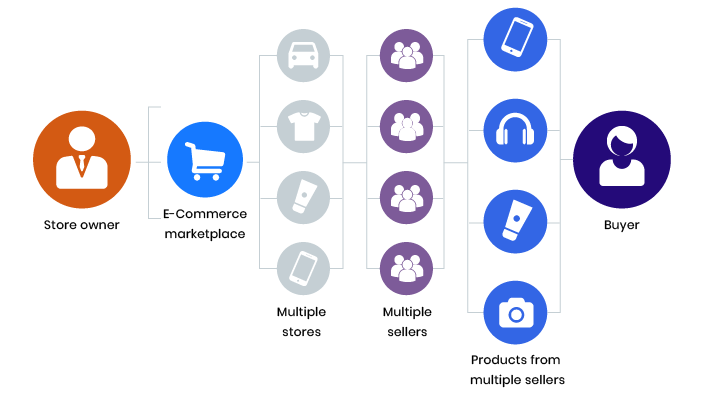 Today, eBay describes itself as an online multi-vendor marketplace. But put simply, eBay is an online store that allows businesses and shoppers to sell and buy new and used goods. Just like any other online store, eBay enables people to buy and sell stuff online, but goods can be sold either at a fixed price or through an online auction. Fixed price works just like on any other marketplace. Auctions allow sellers to set a starting price and potential buyers to bid. The buyer who offers the highest price gets the item. We advise starting development of a website like eBay from an MVP. This approach allows you to validate your idea at an early stage, get feedback from your users, and make improvements. Let’s define the core functionality of a website like eBay. What are the core features of eBay? It’s important to keep in mind that eBay has three types of users: admins, sellers, and shoppers. We’ll consider the features these different users require. Authorization. Shoppers must sign up and provide their name and email address to be able to make purchases. Sellers need to register so they can list items for sale, set prices, and so on. Inventory management allows sellers to add, view, publish, and edit products on the marketplace as well track product status effortlessly. 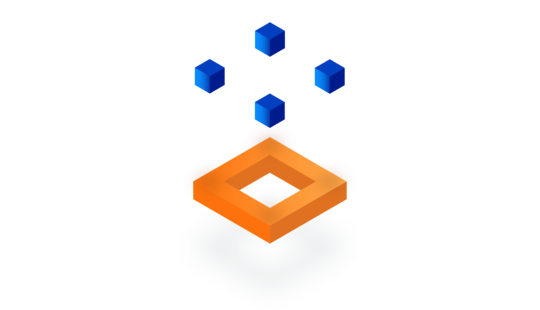 An admin panel allows an admin to manage products on the marketplace and moderate auctions, users, bids, and website content. 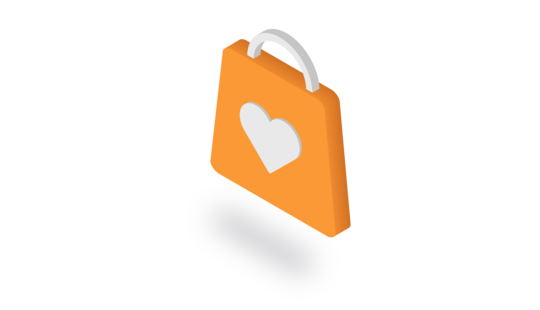 Product search allows shoppers to easily find items by price, location, size, and other criteria. Product view allows buyers to make sure that an item meets all their requirements before buying it. A shopping cart allows shoppers to select multiple items from different sellers and pay for all of them at once. A chat feature allows shoppers to discuss details with sellers. A payment feature allows buyers to pay for their purchases using various payment methods such as credit/debit cards or PayPal. 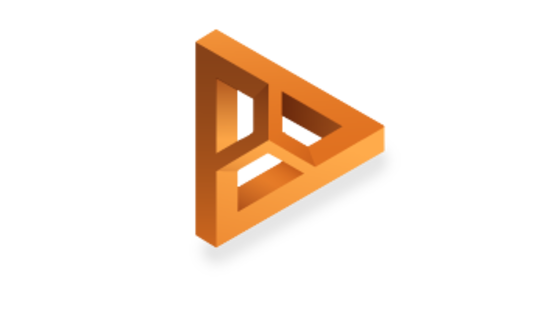 Payout functionality is also needed so sellers can withdraw their money from the system. Reviews and ratings let shoppers express their views on products, allowing other shoppers to be confident in the quality of goods. Analytics enables sellers to see the whole picture of their online business and allows them to track the most viewed items, session times, total sales/revenue, buying tendencies, and more. How do websites like eBay make money? Aside from the core features, it’s important to figure out how to generate revenue. Let’s consider the most common revenue sources using the example of eBay. Fees charged to sellers range from 3.5 percent to 10 percent of the total value of every sale. As data shows, eBay handled $88.4 billion worth of sales in 2017 and two-thirds to three-fourths of the company’s income was generated through seller fees. When sellers list their items for sale, eBay charges a fee per listing or per category. If a seller lists their item in two categories, they pay the fee for both categories. When a seller adds more than 50 listings per month, they have to pay $0.35 per listing. eBay generates revenue from transaction fees when people use PayPal to transfer money. For example, sellers pay a 2.9 percent transaction fee on the total sale amount plus a $0.30 fee per transaction. In addition, there’s a transfer fee of 2.9 percent plus $0.30 per transaction for sending money from a debit or credit card. eBay also allows sellers to advertise their products. Promoted listings is the main type of advertising on eBay. Promoted listings allow sellers to increase an item’s visibility by putting it at the top of eBay search results. eBay uses cost per sale (CPS) advertising. This means sellers don’t pay for impressions or for clicks that don’t result in a sale. They pay only if a buyer clicks on their promoted listing and then buys the item within 30 days. The total number of sellers using promoted listings has increased, as shown in a report for Q3 2018. In that quarter, 400,000 sellers used promoted listings, up 700 percent year-over-year from 50,000 in Q3 2017. Now let’s consider a Business Model Canvas for a marketplace like eBay. 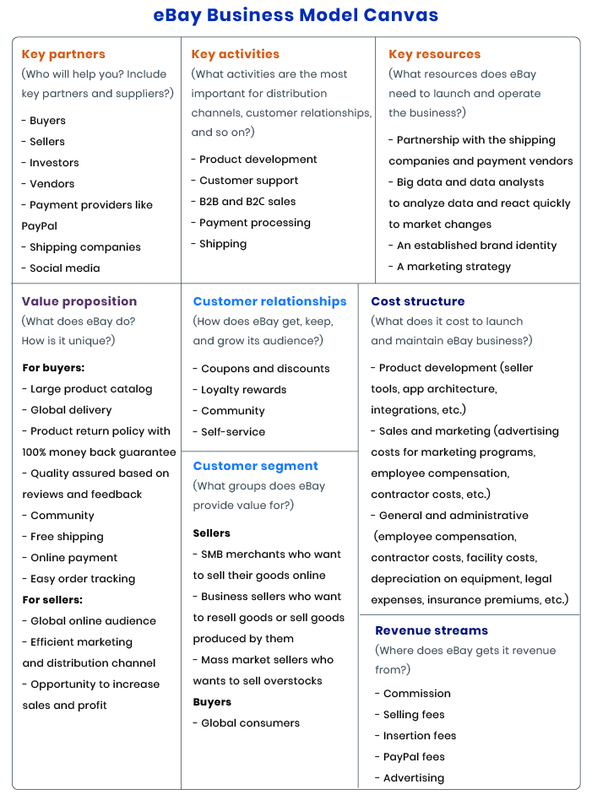 A little background: The Business Model Canvas is a neat template with strategic questions that help to validate a startup idea. It requires little time to fill out and helps you quickly change your focus or make adjustments to a business model if it proves inefficient. If you’d like to find out more about how we validate our clients’ business ideas with the Business Model Canvas, read our article on how and why we evaluate our clients’ business ideas. The canvas below is filled in based on the model of eBay. However, the data in this canvas can be reused and mapped to any product marketplace like eBay. 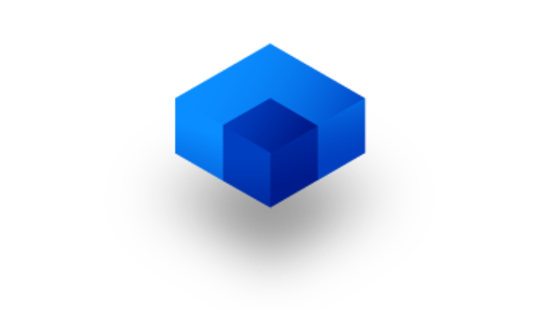 We’ve also included a short explanation of what each blocks means. What are the challenges of building an eBay-like website? Let’s consider the challenges you may face while creating a website like eBay. Which comes first? The buyers or the sellers? This is one of the main challenges faced by marketplaces in their early days. The challenge lies in how to bring two types of users to the marketplace simultaneously. One solution is in the pricing structure. For example, you can charge sellers but provide buyers with free services. This strategy will encourage the participation of buyers. The more buyers you have, the more sellers you’ll get on board. To find more solutions, read our article: The Chicken and Egg Problem of Peer-to-Peer Marketplaces: Who to Attract First? It’s hard to be ahead of the game among horizontal product marketplaces like eBay, Amazon, and Alibaba. To gain a competitive advantage, savvy marketers suggest choosing a niche, i.e. picking an untapped market segment and putting efforts into conquering it. A niche marketplace targeted at a specific range of products or services is a promising direction in a competitive environment. Let’s take Etsy as an example. Etsy occupies the niche of handmade and vintage items and craft supplies. Its users primarily are independent artists, mostly female. Many are parents with children at home. People go to Etsy to find unique items that aren’t mass-produced. A narrow focus allows Etsy to target the right people at the right time, create relevant communication across all marketing channels, and put its marketing efforts into the right segments. The main role of design for ecommerce is to optimize navigation, reduce the path to purchase, and enable users to buy goods effortlessly. A thoroughly thought-out UI/UX design can efficiently convert visitors into buyers and increase sales. To achieve this, consider UI/UX logic and transitions and make sure your micro interactions are simple and clear. Focus on product presentation, a convenient payment flow, and other elements of the sales funnel. Zappos provides a great UI/UX to their visitors. 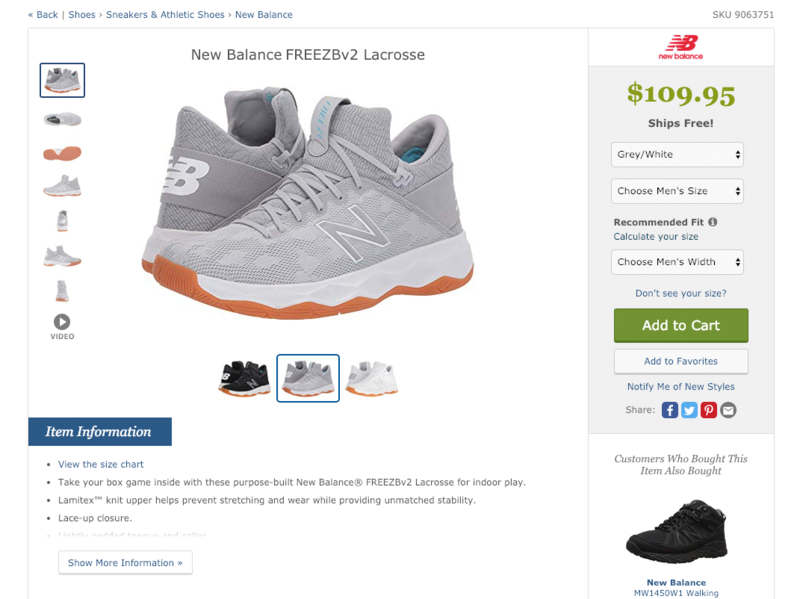 Every product page contains item information, including product photos in different colors and from different angles to show customers all of a product’s unique features. Moreover, Zappos offers product video demonstrations to provide the best shopping experience. To learn more about UI/UX for ecommerce, read 9 UX Tips on How to Create an Ecommerce Store That Really Sells. How much does it cost to create a website like eBay? 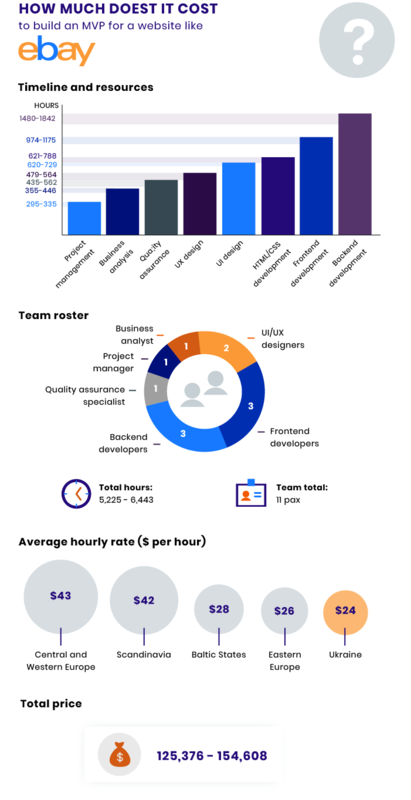 The cost of building a website like eBay is comprised of multiple factors, including the number of features, the difficulty of the project, and development company rates. Below, we’ve calculated the cost for developing an MVP with the features defined above. If you want to create a website like eBay, contact us and we’ll reach out to you shortly!